Malta Boxing Commission Vice President Gianluca Di Caro today announced that both the Malta Boxing Commission and the UK based subsidiary MBC International have become affiliated to the prestigious Association of Boxing Commissions. The Association of Boxing Commissions, (ABC), which is based in America, is the industry leading sanctioning regulatory organization and through it’s membership is responsible for the unified rules of Boxing, as well as many of the boxer safety regulations, that most national and world sanctioning organizations adhere to. 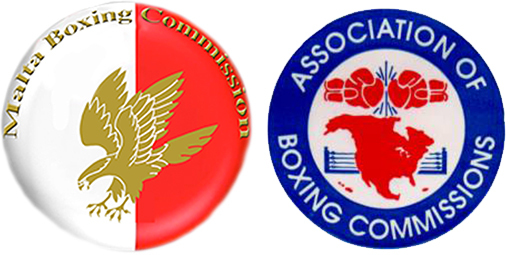 "The Association of Boxing Commissions welcomes the Malta Boxing Commission. The mission of the ABC is to bring about the standardized regulation of combative sport, including boxing and mixed martial arts. This is accomplished by communication with one another and the use of the certified boxing registry Fightfax, Inc., where by all official boxing results are reported by member commission as well as medical and administrative suspension are listed to ensure that no boxer compete while they are injured and need medical clearance to resume their boxing career. Best of luck to the Malta Boxing Commission." “It is with great pleasure to announce that both Malta Boxing Commission and MBC International have become members of such a prestigious organization as the Association of Boxing Commissions. We believe that this is a major move forward for us, as we will be working closely with the world’s elite sanctioning organizations, such as Nevada State, who sanction the events in Las Vegas, including some of biggest Championship events in the sport. For further Information on the Association Of Boxing Commissions go to www.abcboxing.com.